Do you need a professional care for your home and office carpets or upholsteries? Magic Carpet Cleaning in Holloway is providing professional services to various customers. Our cleaners are well trained and certified to use advanced equipment and eco-friendly and pet safe detergents. For more information call us on 0208 861 0979. We are use advanced methods to clean carpets, upholsteries and curtains. Our eco-friendly detergents dissolves stains rapidly in order to give bright and fresh look. We have individual approach to every different carpet, depending of it’s fabrics and condition. For commercial properties usually we use dry cleaning method. It fast and effective way to clean the carpets and there is no closing time. On the other hand steam cleaning is strongly recommended method for domestic properties. It is suitable for people with lung diseases, asthma, children and elderly. It removes the dirt and the dust completely, and kills 99% of the microbes. 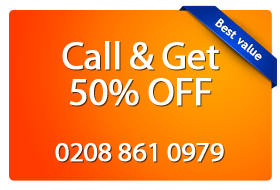 For well over seven years, Magic London Carpet Cleaning have been in service to thousands of regular customers with great enthusiasm in order to make your life a little bit easier. You can find us on 208 861 0979, or simply fill the on-line booking form and our friendly assistants will get in touch with you imminently.